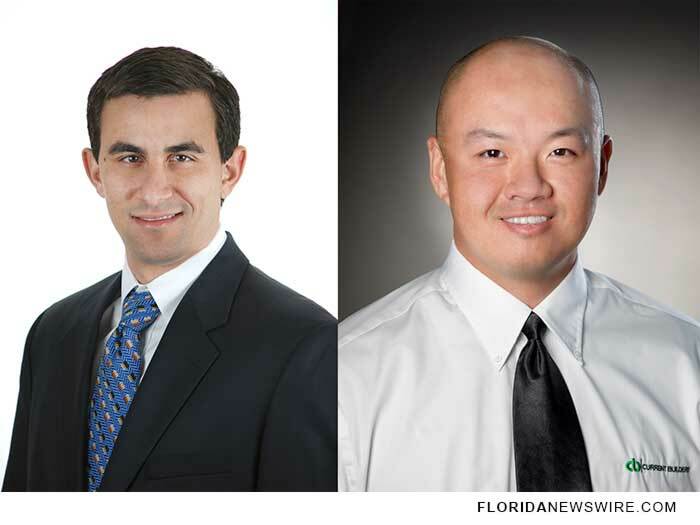 POMPANO BEACH, Fla. /Florida Newswire/ — Current Builders (www.currentbuilders.com) has announced the addition of two new partners, Kar Ho and Eric Seminara. The young construction professionals were recently promoted after demonstrating their commitment to the firm’s success. Ho is the company’s Virtual Design and Construction Manager, and Seminara is a Senior Project Manager. The new partners are both graduates of the University of Florida and are excited about the coming technological advances that will transform the construction industry. “We are very pleased to recognize the dedication and professionalism of Kar and Eric. They have consistently gone the extra mile throughout their careers, and we are proud to promote them to partner,” said Michael Taylor, President of Current Builders. Kar Ho joined the firm in 2010 and has been immersed in researching and incorporating the latest technologies to advance the construction industry. His expertise in BIM (Building Information Modeling) and VDC (Virtual Design Construction) has helped Current Builders offer the most innovative options to their development partners, benefitting both construction timelines and overall budgets. Eric Seminara joined Current Builders in 2011 and oversees many of the company’s key projects. His vast skill set in management is perfectly paired with his extensive knowledge of the various types of construction projects that Current Builders employs including tunnel form construction, tilt wall and steel erection. Editorial notice: the above content is based on a press release as provided by the news source ‘Current Builders’ who is solely responsible for its accuracy and was not created by FloridaNewswire.com, a publication of Neotrope®.